Carefully sourced from Japan, exclusive, artisan ingredients to create unique gifts and entertaining solutions. Brought to you by the same man that brought Bottarga to the UK 20 years ago. Stefano Vallebona started importing unique ingredients and interesting produce from Italy for Michelin chefs and restaurateurs in the late 90’s. Now, alongside his Japanese wife Naoko they are bringing artisan ingredients from small producers and farmers throughout Japan to the UK. It will be the first time this quality has reached our market. The products have been carefully paired with Vallebona’s range of Italian cheese to create interesting combinations such as Burrata with Shiso pesto. 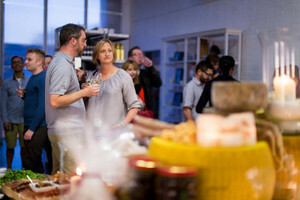 Moromi Miso and Arame Seaweed Chutney were a hit amongst the chefs last week. 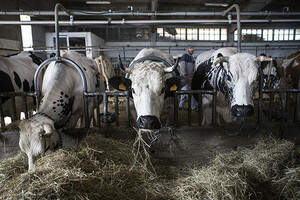 Stefano Vallebona says; The food industry was ready for something new. I saw a gap in the market 20 years ago and could see it again now. This quality of Japanese ingredients isn’t available yet. The miso and seaweed we are importing are natural super foods. I have an eye for sourcing high quality ingredients from honest producers and am really excited to see the reaction. 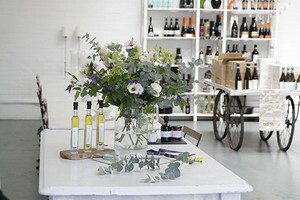 Table@Vallebona, the retail brand behind Vallebona offer gifts and entertaining solutions. 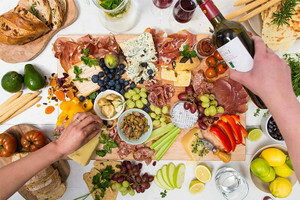 So, you can expect to see these products inserted into your next board room meeting platter, dinner party cheeseboard or cheese subscription box. Alongside the Japanese ingredients, Vallebona has launched a limited-edition line of hampers complete with one-off Kimono’s, sake cups and other artisan artefacts.